You can never have too much Marmalade, imho. And have The Fortunes been mentioned much yet? The Idol, Every Little Move She Makes . . . marvellous. The Idol is one of my fave tracks of all-time. LOVE that song. Even my teenage kids know all the words it gets played that much in our house! Over a year now since this thread, thought I'd come back and show how I'd got on with the recommendations people on here kindly bothered to name check. Will try and cover the ten pages, I've also added a few pictures as we all enjoy looking at records .....lovely lovely records will add some more pictures of the the ones I've not yet found hidden in my collection later, was in a rush as usual. I picked up the second marmalade Lp (reflection of the) up recently, and its got one great track on it "Kaleidoscope". Picked up the Marmalade 'Reflections' of ebay cheaply enough and their 'Songs' album at my local record fair for £4, heavier feel to this one, both good records . John Fred from the market stall in Watford. The Fortunes LP came from Raves from the graves shop and shortly afterwards I ended up with another copy in amongst a collection, it's not that great, unlike the Idol 45 which I'm still after, going to give it another chance. I must say I find it hard to answer the question as to me all these bands put out great LPs even in the seventies, be it Master and Shiner for the Trems (or the unreleased May Morning soundtrack), all the Hugh Nicholson-era Marmalade stuff, the DBMT LP without Dave Dee, pretty much all of the Everlys LPs... It's all good in my book! I would recommend DDBM&T - If Music Be The Food Of Love....it has at least one uptempo freakbeat type tune....at least to my ears. I regret not getting that Turtle Soup LP that sat in my local shop for less than a fiver for a long time. Left that Marmalade (Reflections LP) in a charity for £7 a few years back as well. Also recently left that DBM&T Fresh Ear LP for cheap but can't think where it was. Of all the LP's I've picked up from the tips on this thread 'Fresh Ear' is one of the corkers, really surprised as to how good this record is. Great harmonies, long tracks that don't get bogged down and imaginative tunes. Finally found a cheap copy at Reading record fair for a fiver. Last edited by peter sundae; 28-10-2011, 01:47 AM. Picked up 'Sheroo' and 'Sweet inspirations' as well as the one above in one hit. Will get back to you when I find something on these. [quote=peter sundae;379467]I'm missing 'For Certain because' waiting for a cheap copy to crop up, which it will eventually. 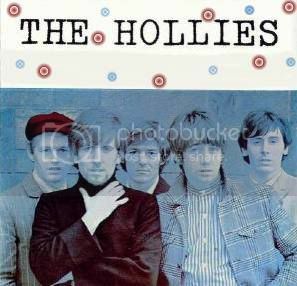 'Hollies sing Hollies' has been on the deck recently, pretty solid album. After losing Graham Nash and making the 'Hollies sing Dylan' weakish effort this is the album which finds the band back on track for me. 'Distant Light' was a disappointment, need to revisit. Paul and barry Ryan Lp looks good. Still not got 'Hollies sing Dylan' but have picked up 'For Certain because' and The Hollies S/T (not pictured) since, both keepers. Do I need the Hollies Dylan LP ? the clip of them singing 'I'll be your baby tonight ' on the Rock & roll years tv clip puts me off. Love Affair - LA. Seem to remember this had some good things. B side of Lincoln County is a beauty. I've waited for a cheap copy of this to show on ebay which it finally did last week, I love a bit of flute Proper prog record this. Would it be worth adding Tommy James & The Shondells here? Pretty much all their records have at least a few goodies on them, and a fair few are just great all-round LPs. 'Cellophane Symphony', 'Tommy James' and others I'll try and refresh my memory on later, when I can get across to the shelves to check titles. 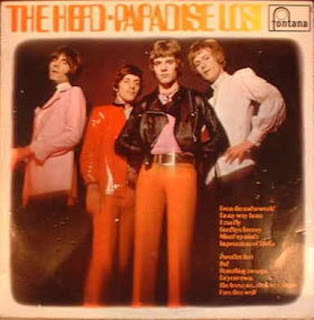 Here's a band that had a couple of great plastic psych hits that seem to be largely forgotten these days. Sorry for the crappy pic, this band are slightly forgotten these days. Great thread and thrown up a few LPs I need to pick up. Here's a few from me - apologies if they are already in the thread and I've missed them. The Everly Brothers - Two Yanks in London - very nice LP with backing and tunes from the Hollies - there's fuzz to be found in there folks. Easybeats - Vigil - Sees the group trying to take that difficult stride from pop group to 'please take us seriously folks' territory. Really good stuff on here. Mindbenders - S/T - I've seen this LP priced between £1 and £50 over the years - it shouldn't set you back too much - proper stomping pop LP with a killer instrumental track buried away on there. I want their other one if anyone has a spare? Just dug that Mindbenders record out - had no memory of listening to it before, but it's really good! I was gonna mention the Move LPs and the Yardbirds 'Roger the Engineer' but I guess they're old news here. Staying with the Mindbenders I rate "with woman in mind". I don't recall it being of the quality of the one Towny (track on Tinsel Towny)and Craig own but I'd like to be proven wrong. Mindbenders 'With Woman In Mind' has a the great freakbeat track 'Morning After'as comped on an early Rubble, but is a solid album all the way. Tommy James 'Cellophane symphony' is indeed a great album, again found very cheaply at a record fair. Still intrigued and after The Easybeats LP 'Vigil' after picking up a nice 45 by them the other day, title escapes me will edit in the morning. EDIT Easybeats track 'Come in you'll get pneumonia' is this from 'Vigil' LP ? Last edited by peter sundae; 28-10-2011, 10:31 AM. Has this been mentioned, probably very well know. 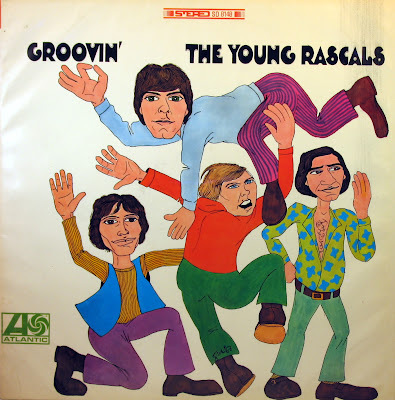 Love Groovin but there are really great tracks on this. It's Love, A Girl Like You, Sueno, I love it all. I know your game Lionel! I can see what you really are! Not got this one and I have seen about, next time I shall pick it up on your recommendation, cheers. Kind of you, gonna save you the visit to the post office and take your advice. Dave Berry - 1968 (think that's what it's called). Coupla goodies. Found this at Luton record fair, wasn't all that cheap but I don't see it around much. His first LP shown in picture has some good up tempo tunes and is worth getting, I know a few people have mentioned liking the 'My baby left me 45, a few more on here like this. What are the other Savoy Brown LPs like - I only have the 'Outside looking In' one - I like most of it just not the lumpy blues bits.